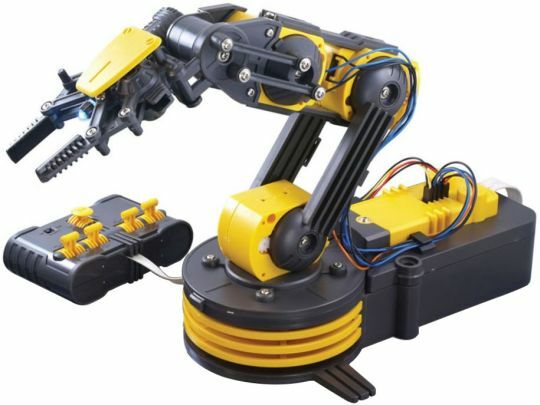 A robotic arm is a type of mechanical arm, usually programmable, with similar functions to a human arm; the arm may be the sum total of the mechanism or may be part of a more complex robot. The links of such a manipulator are connected by joints allowing either rotational motion (such as in an articulated robot) or translational (linear) displacement. The links of the manipulator can be considered to form a kinematic chain. The terminus of the kinematic chain of the manipulator is called the end affecter and it is analogous to the human hand. LED Spotlight on gripper illuminates your work. Pick and Place of small object. Can be used as proto type of bomb defusing arm. 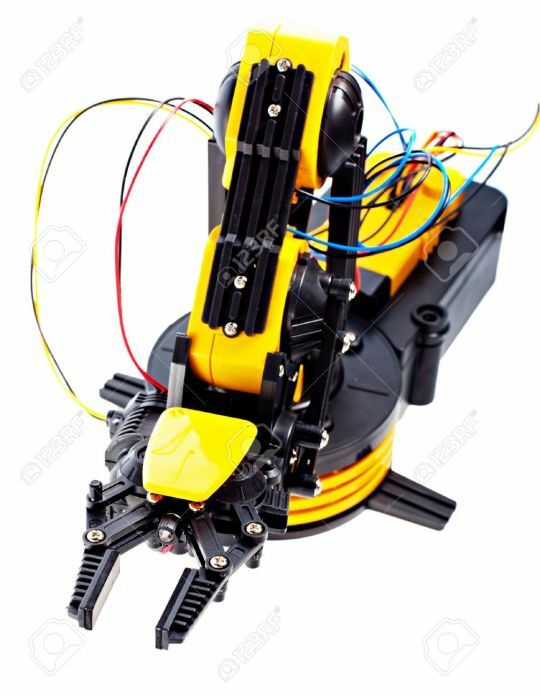 Can be used in academic project as prototype of heavy arm.